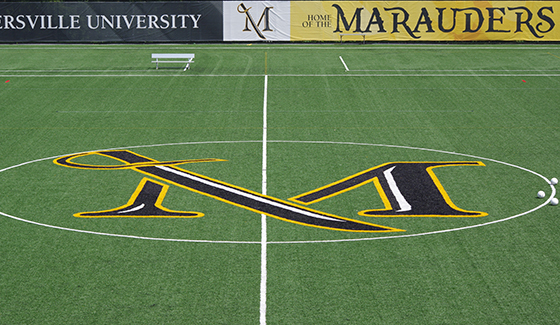 The Pucillo Field complex includes a competition soccer stadium and 80-yard practice football field for use by intercollegiate athletics and campus recreation. In early 2014, Millersville University Student Senate approved $2.5 million for the project from funds remaining from the Student Memorial Center renovations. Ground breaking took place in April of 2014 and the facility was completed in time for the 2014 fall season. Both fields feature FieldTurf surfaces and the soccer stadium includes a press box with top-of-the-line audio system and a grandstand for 700 fans. Being renovated in May 2018. Renovation will be complete in July of 2018! 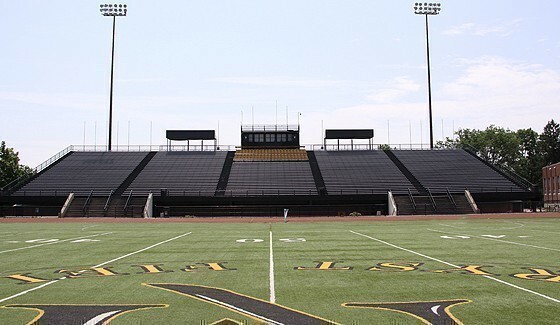 Chryst Field at Biemesderfer Stadium is home to the Marauder football, field hockey, lacrosse and track and field teams, was completed as part of a major renovation to Biemesderfer Stadium in 2005. A modern synthetic turf surface (FieldTurf) and a new polyurethane eight-lane track and infield jump/vault areas (BSS-300 surface manufactured by Beynon Sports Surfaces, Inc.) were installed. [Click here] to view our other sports facilities. The south village suites opened in the fall of 2014. 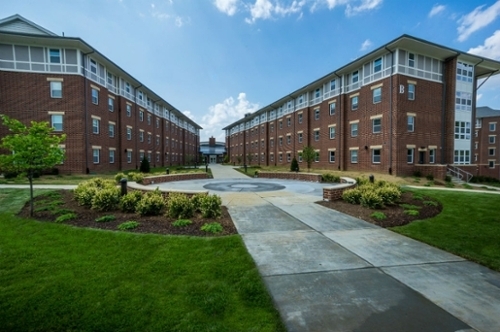 South village is a coed suite-style dorm that can hold up to 709 students. Click the links below to learn more about our housing. The Upper Deck at Gordinier Hall is located near the South Residential Complex and is the main dining facility on campus. The facility is comprised of numerous food stations, each offering a different type of food including char-grilled meats, stir-fry or pasta entrees, homemade casseroles and soups, oven baked pizza, egg and omelet bar, self-serve waffle bar, fresh salad bar, deli and MU Bake Shop dessert choices.